The technology sector is and will continue to be at the front line of antitrust enforcement activity. On 27 June 2017, the European Commission (the “Commission”) fined Google €2.42 billion, which is the largest fine ever imposed on a company for infringing EU competition law. The Commission considers that Google abused its dominant position in the market for internet search by promoting its own comparison shopping service in its search results, and demoting those of its rivals. For technology companies and those operating online that may be dominant on a particular market, the fine serves as a stark reminder to tread carefully in respect of rivals. In its decision, the Commission concludes that Google is dominant in general internet search markets throughout the European Economic Area (“EEA”). This is based on a number of factors including market shares of over 90% in most EEA states and high barriers to entry due to network effects (if more consumers use a search engine, more advertisers are attracted to it, and the profits generated from the advertising can in turn be used to attract more customers). Having a dominant position is not illegal under EU competition law; however, dominant companies are considered to have a special responsibility not to abuse their dominant position by restricting competition. The Commission judged that Google abused its dominant position by giving its own comparison shopping service an advantage. This meant that Google’s comparison shopping service appeared more prominently in search results, with rivals appearing far lower in search results. The Commission has determined that this had a significant impact on competition, allowing Google’s comparison shopping service to make significant gains in traffic, to the detriment of rivals. The Commission’s decision serves as a reminder to dominant companies that they need to tread carefully in respect of competitors. The key question is the extent to which dominant companies are obliged to favour their competitors, online as well as offline. It is entirely logical for any company, regardless of whether or not it is dominant, to advantage its own goods or services over those of its competitors. However, the Commission’s decision appears to suggest that a dominant company may not give its own goods or services an advantage over those of its competitors. By analogy, this would imply that it would not be lawful, for example, for a dominant supermarket to promote its own brand products over its competitors’ products. This arguably appears to impose greater responsibilities on dominant companies in relation to how they engage with their competitors. Publication of the full decision and the outcome of the appeal process will shed further light on the obligations of dominant companies in this respect. The decision to fine Google, as well as the size of the fine, is perhaps indicative of the harder line that the current European competition commissioner, Margrethe Vestager, appears to be adopting compared to her predecessor Joaquin Almunia. The fact that the previous three rounds of commitment discussions between Google and the Commission did not result in a settlement decision emphasises both the challenges and the huge stakes for all involved. There have been suggestions that the Commission has been driven by political motives in its treatment of Google and other technology companies, and that EU fines on US companies amount to a form of protectionism. Whatever the truth in such arguments (and the European Commission will strongly argue it takes decisions independent of political pressure and on the merits of each case) it is interesting to note that the US authorities settled a similar investigation of Google in 2013. It remains to be seen whether there is any further political reaction from the US in the light of the Commission’s decision. The Commission’s fining decision is the latest development in a very long-running investigation, which began in 2010. However, this is not the end of the matter as Google is likely to appeal the Commission’s decision to the General Court of the European Union. The appeal is likely to take many years to resolve as there may be a further appeal ultimately to the Court of Justice of the European Union. It is also expected that Google will face a significant number of damages claims. Any business that can demonstrate that it suffered loss as a result of the conduct that is the subject of the Commission’s decision will have the ability to file a ‘follow-on’ damages claim. Although some claims have already been brought in the UK and elsewhere; for example, Kelkoo filed a damages claim in the High Court in 2016. 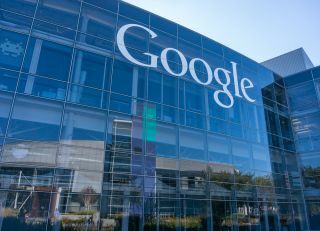 Claimants will now be able to rely on the Commission’s decision that Google’s conduct was unlawful without the requirement for any further proof of infringement. Of course, claimants will still need to prove that Google caused loss, as well as the amount of any such loss. concerns relating to copying of competitors’ web content (known as ‘scraping’). The Commission’s press release refers to its decision of 27 June in relation to comparison shopping as a “precedent which establishes the framework for the assessment of the legality of this type of conduct.” It appears as though there may be further decisions taken by the Commission in relation to Google’s conduct in the near future. The Commission’s decision, coming in the wake of previous cases in relation to Intel and Microsoft, underlines the fact that the technology sector is and will continue to be at the front line of antitrust enforcement activity.